My name is James Mravec and I have been illustrating and working on interactive media projects for over 30 years. I graduated from the Cleveland Institute of Art and started immediately freelancing concept development ideas for the toy industry. Over the years, I have completed illustrations for books, graphic novels, children's books, magazines, wall paper and paper products. I have also worked in the Design and Interactive Media fields. I have created and maintained websites for large and small clients. In the Interactive field, I was involved in programming and the creation of kiosks for several museums, non-profit organizations and a higher-education institution. An advertising agency hired me for my animation and online game development skills and I worked on many projects for them. In 2000, I was hired to teach illustration classes at the Cleveland Institute of Art. My digital knowledge allowed me to teach design and art software classes as well. 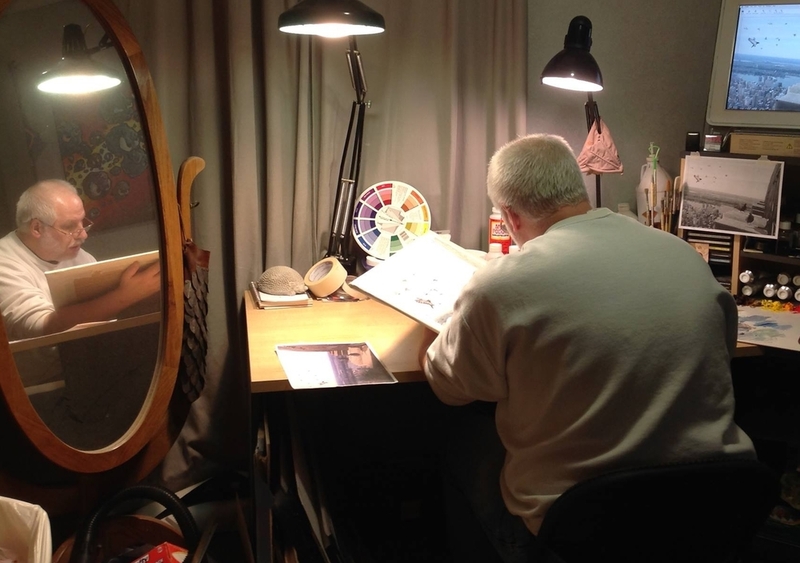 Over the years, I have also taught design and illustration classes at Cuyahoga Community College, Kent State University and Middle Tennessee State University. I am currently back to teaching illustration, animation and game design classes at the Cleveland Institute of Art and Cuyahoga Community College. I graduated from Hartford Art School's Low Residency Illustration MFA program in the summer of 2016. If I'm not teaching or painting my assignments, I'm doing freelance work. Contact me about purchasing or commissioning art!